Enjoy your journey through some of history’s magnificent jewelry in the National Jewelry Museum .At the Museum, a direct line from the imagination of the original artist, to the hands of our master craftsmen is obvious. 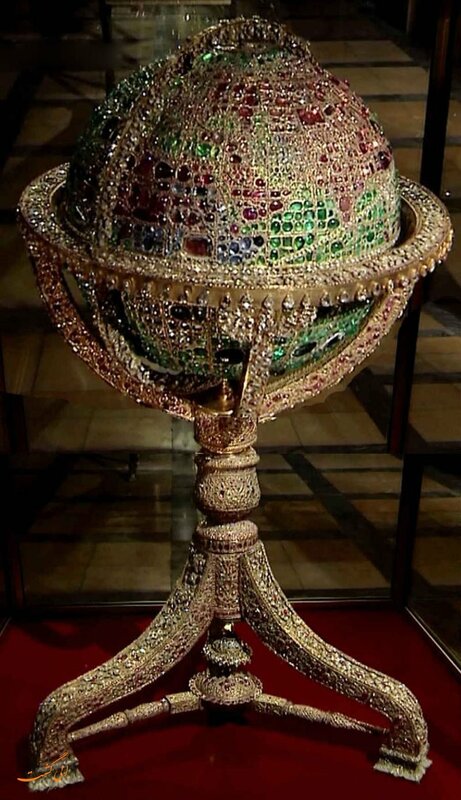 It is one of the most expensive collections of jewels in the world which is been gathered over centuries. Every pieces of the jewelry is the witness to rise and fall of the rulers in different period. For the first time, the National Jewelry was transferred from Golestan palace to Meli bank of Iran in 1937. The most dazzling collections of stones such as different kinds of rubies, Emerald, Diamonds, the only Iranian turquoise gemstone and jeweled articles of the world is housed in the central bank of Islamic Republic of Iran which among them, the most spectacular objects have been placed on public which gives the extraordinary visions from the past. While you are exploring the capital of Iran, Tehran, you can visit this treasure of valuable objects from Saturday to Tuesday.